With the Severn Bridge tolls removed and the very affordable property prices, Newport has become an ideal and highly sought after area. The location is perfect for those wishing to commute to adjacent cities like Bristol or Cardiff without having to pay the high prices of living there. Its popularity is still continuing to rise as more and more people are seeing its potential. Property solicitors and letting agents are noticing a rise in interest with properties in Newport and many people are opting to rent in this desired area. Below are just a few of the many reasons why the decision to buy to let in Newport is on the rise. Location is obviously an important aspect for anyone looking at properties. Potential tenants will be reviewing local transport, commuting opportunities, neighbouring cities, local schools, anything that will affect their everyday life. With easy access to the M4 and a variety of train lines in Newport, it’s easy to travel between cities and the beautiful South Wales countryside offering the best of both worlds. With free transport across the Severn Bridge, many have been relocating from neighbouring cities like Bristol, Cardiff and even Bath for easier commuting and cheaper living costs. It’s a prime location for commuters and many who were previously reluctant due to the price of the tolls are now flooding in to find properties. With Newport properties in high demand, there has been a slight rise in prices in the last few years but they’re still considerably lower than most of the surrounding areas, attracting young families and first-time buyers. With lower property prices you might expect people to buy rather than rent. However, not everyone is willing to commit to a mortgage and many prefer the flexibility renting offers. With terraced houses currently averaging at an asking price of £133,921 and semi-detached houses at £179,922, it’s easy to see how Newport is more desirable than other surrounding areas. 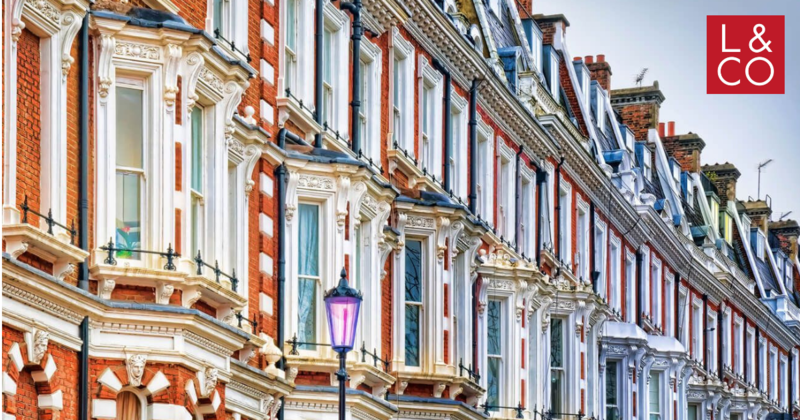 For smaller properties, a one-bedroom flat is averaging at a value of £111,229. It’s a good starting point for new investors and those looking for lower cost properties. Due to the ever-growing interest, Newport has a rising number of new-build houses aiding in the increase in prices. A high proportion of these are family homes attracting young families and those with members looking to commute. With many couples looking for homes within the vicinity of both Cardiff and Bristol, Newport is the perfect place to call home. Purchasing a new-build home has its risks as with any property, but they can be worthy investments as they’re in high demand amongst families and younger tenants, contributing to the growth of Newport. Newport isn’t only known for realistic property prices but also more affordable living costs. With the chance of a higher expendable income, many are committing to the move supplying a variety of potential tenants. From cheaper transportation to lower alcohol prices, many are relocating from Bristol, Cardiff and Swansea due to these expected lower costs. A meal out for one in Bristol costs on average £15.00 whilst in Newport, you can expect to pay around £12.50. Every little helps and can entice people into moving here. From students, young professionals and families, the promise of cheaper living costs and affordable entertainment attract a range of people and adds to the growing popularity. Newport is a prime area for commuters but there are also aspects that attract a variety of other buyers. Students, first-time buyers, families or couples, there are advantages for everyone in this area due to the easily-accessible surrounding cities, lower living costs and a large number of good schools available for those with children. You can certainly never be bored living in Newport with amazing nightlife, local leisure clubs and a mix of family-run and branded businesses. There’s something for everyone and so a variety of personalities will be attracted to it providing a larger pool of prospective tenants. With Newport becoming an increasingly desired city it can be daunting to buy to let as the property prices are constantly changing. However, many are choosing to do so as it doesn’t only increase the number of potential buyers but landlords can still achieve good yields, especially when compared to Bristol. The rental yield varies depending on the specific location in Newport. However, the best performing areas have one-bedroom properties offering a rental yield of 6.08% and two-bedroom properties offering 5.24%. There are still many ways to maximise your property rental return but it’s easy to see why many are willing to invest. With £90 million recently spent on improving Friars Walk shopping centre, there is certainly more to see and do in Newport than ever before! From independent stores to well-known brands, there’s plenty of business opportunities and plenty of new stores for some retail therapy. From fancy dining to quaint local pubs, there is a range of restaurants to try with live music at every corner, reviving Newport centre. Away from the city centre, Roman Caerleon offers intriguing facts and stories about South Wales’ history, with museums, baths and an amphitheatre to explore. There is something for everyone making Newport a perfect place to invest in, attracting a variety of potential tenants.